One of my best friends told me once, “You’re kind of a control freak.” Embarrassingly enough, I have to admit there is some truth in that statement. I am a type A, oldest child and my natural tendency is to try to direct my life so it will go my way, on my timetable, and involve only the people who I want in it. My whole life, I have felt God chipping away at my stubborn, “I want it my way” nature, and the more He has broken me of it, the more cooperative I have become, but boy has it been a humbling process. I have realized more and more how that feeling of control is merely a false sense of security, rooted in my own selfish desires and ambitions. 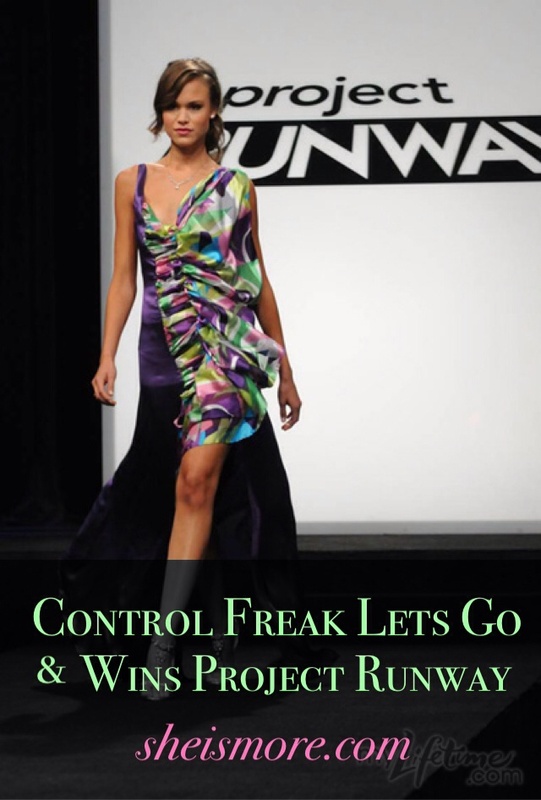 I think if we are honest with ourselves, we all have a bit of a “control freak” in us. A part of us that wants to dictate what we will and won’t sacrifice, what sins we can justify, what we want to do with our schedules, and how we want to spend our money, but God tells us in His word that “His ways are higher than our ways” (Isaiah 55:9) He is constantly urging us to surrender all of our plans to Him because, quite honestly, our greatest hopes and ideas are far better in His hands. God longs to mold and shape our desires into His desires so we can reflect Him and be transformed into His image more and more each day. When we let go of our ideas of what we thought our life would look like, and surrender everything to Jesus, He will take us on an adventure far greater than anything we ever could have dreamed of. When I was 19 years old, I had already been living in New York for a couple of years and was doing a lot of modeling, but despite working nearly every day, somehow it seemed like every month I would just scrape by to pay my rent and bills. I was working with a boutique agency in NY, and the head booker terrified me, but I felt like I had to always please her because the jobs she booked me on kept me afloat in NYC. Every time I would go have to go into the agency I would practically have a panic attack because she would always, without fail, point out something wrong with me. “Kalyn, your hair needs to be longer…You need to slim down your thighs…You need edgier pictures…You need to lie about your age so clients think you are younger and fresher.” One day she called me in for a meeting and as I braced myself for her criticism, she uttered the phrase every model dreads, “We are going to drop you from the agency.” I was devastated and relieved at the same time, but immediately panicked. In my confusion, I clung to the verse in Matthew 6 that talks about if God feeds the “birds of the air” and “clothes the grass of the field…How much more will He clothe you.” Finally, at the end of my strength, I just broke down and prayed, “Lord, I don’t know what my next steps are and I don’t know what to do next, but I trust you no matter what.” As I surrendered control to God, I immediately felt a peace and calm assurance knowing that He was going to work it all out, but little did I know what He was planning behind the scenes and that the “much more” I would experience would be greater than anything I could imagine. I got a random call a couple of weeks later about a casting for “Project Runway” and a new sister show about the models. I figured I would go, but when I got to the hotel where the casting was, I saw a line of literally hundreds of girls. When I witnessed the “cattle call,” I almost left, but I felt God impressing it on my heart to stay and be seen. Long story short, I made it through the initial casting round, all the interviews after that, and about a week later was flying to Los Angeles to film for 6 weeks. Not only was I cast on the shows, but by God’s grace, I ended up being the winning model on “Project Runway” and the first season of “Models of the Runway”…all without an agency. 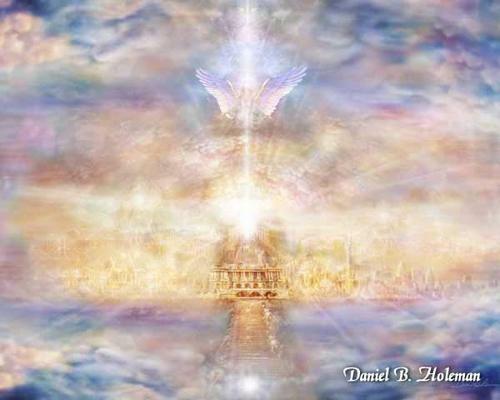 God showed me that HE was my agent, and a far more powerful agent than any human on earth. He showed me that is was by His strength alone that He provided me with this opportunity and it wasn’t by any of my effort or doing. He took a situation that initially seemed hopeless, and “turned my mourning into dancing.” (Psalm 30:11) That’s the kind of God we serve. He longs to give us “immeasurably more than we could ask for or imagine,” (Ephesians 3:20) so we can give Him all the glory. God loves each and every one of you so much. He knows your needs and vulnerabilities, and He knows what you can endure and still remain faithful. Every trial you face is an opportunity to let go of the reins, to let go of any sin and selfishness, and to rest in the peace of knowing that God is “working all things together for good for those who love Him.” (Romans 8:28) Not one detail of your life goes unnoticed and you can be assured in every seemingly bleak situation, that God is refining your character and drawing you closer to His side as He shows His mighty strength in your weakness. His goal is that your hope will be found in Christ alone. God longs to be the sole author of every chapter of your life. Surrender control, place your pen in His hands and He will write a story so unique, and incommensurable, that it will only be explainable by His matchless power and deep love for you. Thank you so much for writing this. This blog has helped me through so much! I too like modeling and acting. I want to pursue it after my high school graduation next month. I’ve always struggled with wondering if I was going against God by wanting to model and act. You helped me see otherwise. I believe I was put on this earth to do those things, but use my platform (whatever size) to lead people to God. Thanks again for writing such amazing things. God bless you! I Kalyn, I posted this on my FB page for others to be inspired by your story. Kalyn I am so proud of you! Thank you for your inspirational words of wisdom. I love your transparency and honesty. You are a bright light in the midst of your generation and the entertainment business. God is using you in an awesome way! Kalyn, you are such an inspiration! And, that’ so true, when things seem to go nowhere and you surrender, that’s when God show you the way.